About Oakley Road The facilities are in keeping with the rural setting of the ground – it has one old wooden stand on one side of the pitch, and strange covered scaffolding terrace behind another and a club house/nursery on the far side. How to find Oakley Road The ground is located down a small country lane off the A233 Oakley Road which runs between the A21 Hastings Road and A232 Croydon Road. If you are heading from the M25 then exit at junction 4 and follow A21 for Bromley. You will pass a McDonalds and a BP garage on your way down the hill (after Farnborough Hospital). Take the next left into Oakley Road. The ground is about 500 yards up this road. The nearest station is Bromley South. From here catch the 61 (in direction of Chislehurst), the 358 (Orpington) or 402 (Three horseshoes). Admission to Oakley Road Admission is £7 for adults and £3 for concessions. Our last visit – September 2012 After the excitement of the FA Cup at Redhill yesterday, I needed a day to recover. Well, actually I needed a day to mow the lawns, tidy up the TBIR Museum, do some proper work and generally be the perfect husband and father I aspire to be. But with all my chores ticked off by 1pm, the wonderful Current Mrs Fuller suggested I should have some me time. In fact before she had even got to the end of her sentence I was off, heading a few miles south-west to the metropolis known as Beckenham, right in the heart of Crystal Palace land. For here, for one afternoon only, Lewes Ladies aka The Rookettes, would be taking on the Millwall Lionesses in a FAW Premier League game. And if that was not enough, there was the prospect of the second half of the FA Cup tie at Greenwich Borough to think of. Lazy Sunday afternoon my arse. So first up was the visit of the Lewes Ladies to South-East London. Much has been written about the unbelievable achievements of this side, who will this season be competing with the likes of West Ham, Tottenham and Millwall. Clubs who operate at the highest level of football in this country, and in the top twenty richest football clubs in the world. Of course, they will argue there is no direct link between the exploits of West Ham Ladies and Sam Allardyce’s side, but they carry the same name, the same colour kit and the same fans. So from that perspective, the fact that Lewes would be taking the field against a side who operate five leagues above the Rooks was amazing in itself. Last week, the Rookettes had hosted Millwall in the League Cup, and won in a close fought encounter 2-1, so the Lionesses would be looking for revenge. 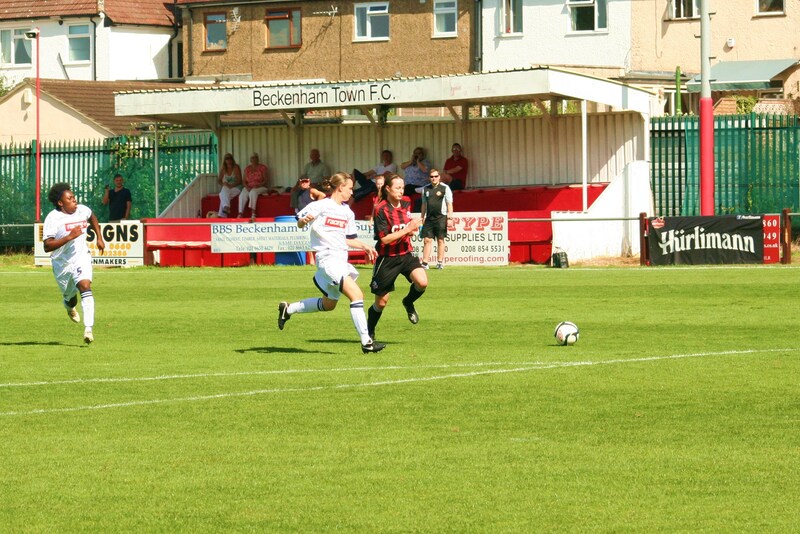 Beckenham Town would be our venue for the first of two games this afternoon in the beautiful Indian Summer. 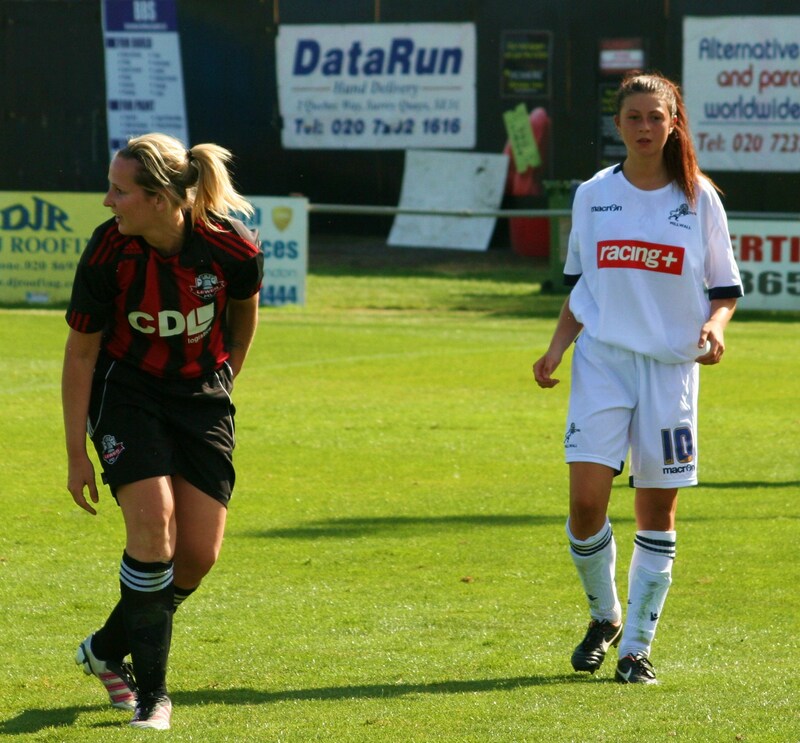 Millwall Lionesses 2 Lewes Ladies 1 – Beckenham Town FC – Sunday 9th September 2012 At the final whistle the Millwall manager shouted one word – “Revenge”. He felt that certain decisions had not gone his way last week in the League Cup game and saw this result as redemption, although neither team could say they were happy with an inept performance by all three officials. It was a relatively even encounter, won by a strong Millwall side who used their experience at this level to come from behind to take all three points. Lewes were certainly the better side in the first half, using the flanks well and getting the better of the Millwall midfield thanks to a fluidity in the interchanging of the front four. England’s Naomi Cole, Portuguese pair Jo and Veiga and Clare Trafford floated around the Millwall back four, causing confusion whenever they got the ball. It was no surprise that the goal came through these four when Clare Trafford fed Veiga, who beat her man and shot across the goal which the keeper couldn’t hold and Jo tapped home. Despite holding the lead at half time, Millwall came out stronger, sensing that they should be the team on top rather than Lewes. The Lions keeper was still the busier of the two and for the first fifteen minutes the Lewes midfield held the upper hand. And then the Lionesses pounced. Despite Holly Hinshelwood’s excellent challenge, the ball rebounded to the Millwall forward who wrong-footed the Rookettes keeper. The game could have gone either way with both sides going for the win. But unfortunately, the Lionesses won the game thanks to a brilliant header from their substitute, arching backwards to loop the ball over the keeper. One final word is for the referee. Mate, if you are reading this, you are let yourself down with your actions at the end of the game. 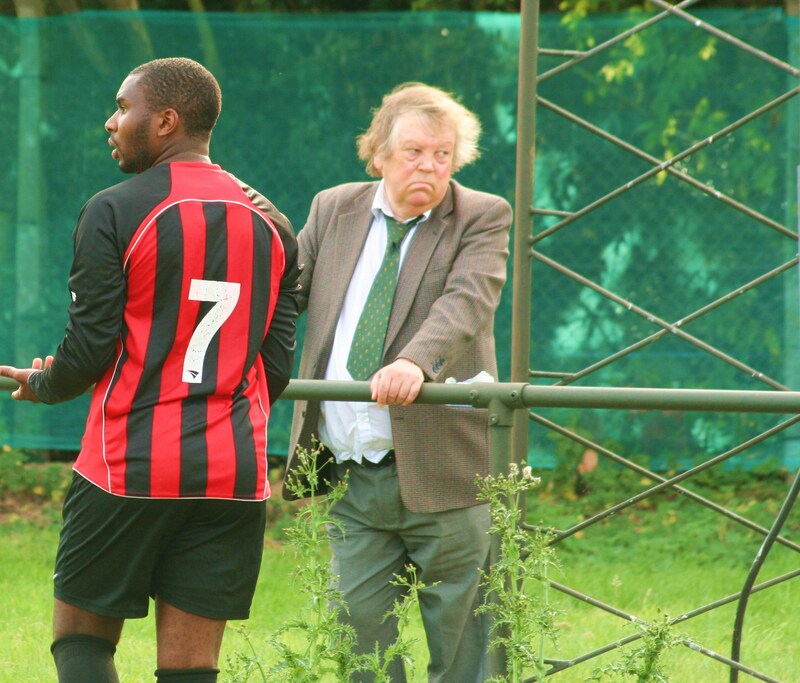 Both benches agreed that you were poor, but to wait until the 90+5 minutes to “flex your muscles” by sending the Lewes coach off for questioning the latest in a long list of bizarre decisions was ridiculous. And to then shout at the top of your voice “Don’t touch me” when he went to shake your hand, well that was pathetic. The Rookettes will have better days, that is for sure, playing at the highest level they have ever done. But for now it would be a long, hot journey home. 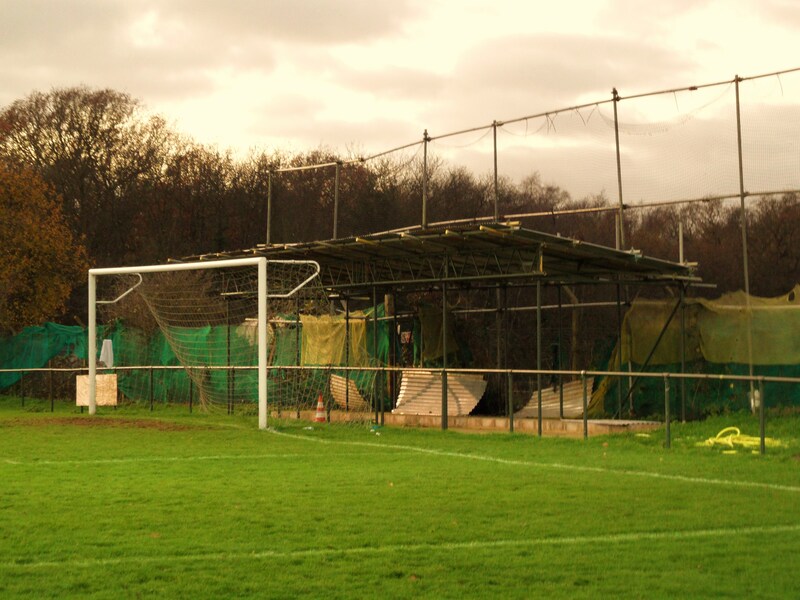 As for us, it was a simple 3.4 mile drive across Suburban London to Oakley Road, home of Homesdale FC. Greenwich Borough 0 Cray Wanderers 1 – Oakley Road – Sunday 9th September 2012 Except it wasn’t Homesdale we were seeing. We were here to see Greenwich Borough, their tenants, playing Cray Wanderers in the FA Cup. Technically, as the crow flies, the teams were separated by just a mile and a bit, but that doesn’t tell anything of their nomadic lives. Greenwich Borough used to play, unsurprisingly, in the Royal Borough of Greenwich, almost at the end of our road in SE9. But they didn’t own their ground, and when a leaflet popped through the door of the ground owners about how to build their own flats, they gave Borough notice to leave and they took their balls and ended up in the Borough of Bromley. 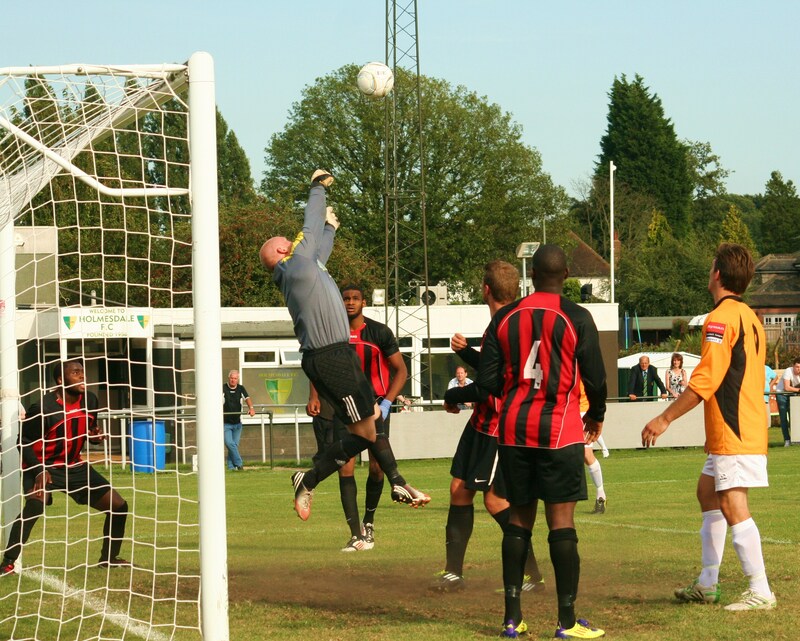 Cray also are Wanderers (as their name suggests), playing their football at Bromley FC, whilst trying to find the funding to return to their spiritual home in Orpington. So the £3,000 prize fund for this tie could come in useful for that first time buyers deposit. To say this was a close affair was like saying that Britain likes an athletics event or two. Both sides had chances to win the game as the clock ticked down, and a replay was beckoning. And then as we entered the fifth minute of stoppage time up popped Jamie Darvill to bag the three grand for Cray Wanderers, and break the hearts of Greenwich. So a short hop back to Chez TBIR in time for Roast Pork and a pint of Old Tom. Sunday’s are rarely better than these. See pictures here.